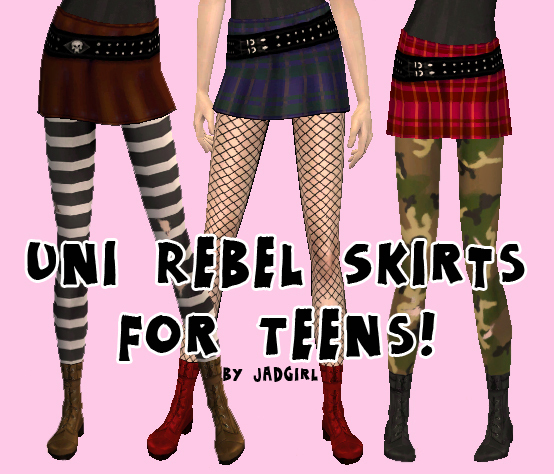 In my opinion, there are nowhere near enough rebellious articles of clothing for my teen girls. ANd it seemed unfair that the Young Adults got such cool clothes (especially when you have the Faster Uni hack, meaning you only play them for a limited time). 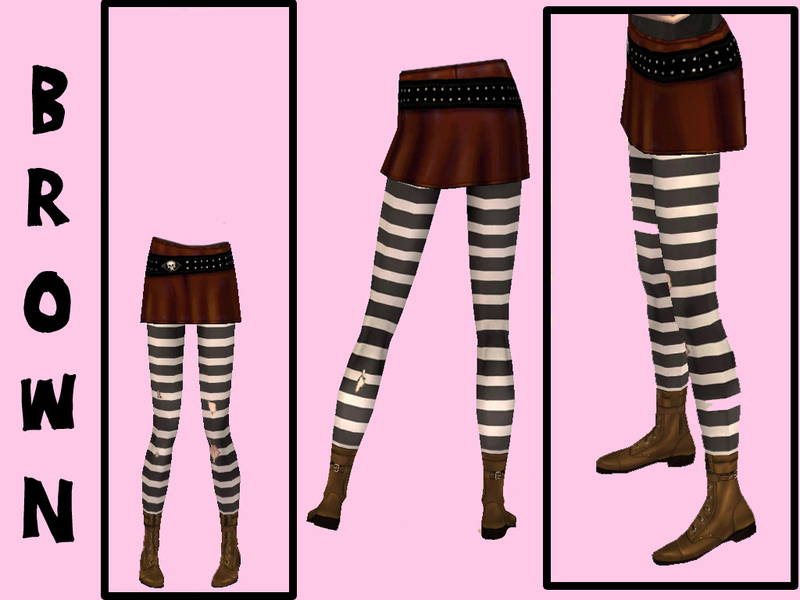 SO I decided to put the skirt textures on the base game miniskirt mesh (meaning it's base game compatible! Yay!) I also decustomised the skirts (thank you Phaenoh!) 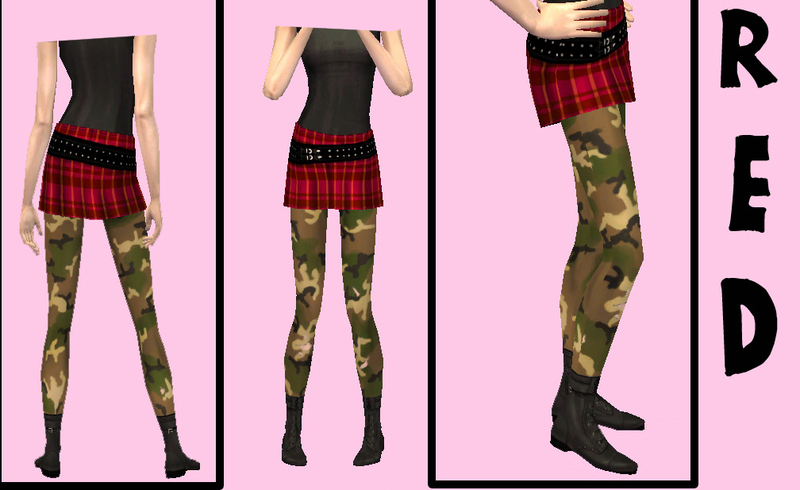 so the skirts will have the Uni icon and Townies will be able to wear it! I'm not sure if this will affect your game if you don't have University... if so, tell me, and I'll get rid of the EP flags.